The majority of the UK public wouldn't be able to explain the malware. 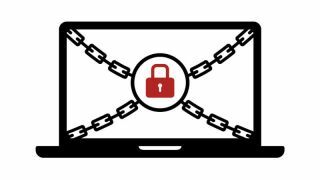 Despite the fact that the media is constantly buzzing with stories of successful ransomware attacks, the general public in the UK is largely unaware of the threat. Backup experts Acronis polled Brits, and in their report it says that 60 per cent of respondents would not be able to explain what ransomware actually is. Sixteen per cent ‘just heard of it’, while seven per cent said they could ‘definitely’ explain what ransomware is. Fifteen per cent ‘probably could’. Acronis also says that this lack of awareness is ‘matched by data insecurity’ among respondents. More than two thirds (69.6 per cent) feel ‘worried’ about their personal data online, and 47 per cent said they felt vulnerable from IoT-based cyber-attacks. However, almost no one is interested in paying up. Ninety-five per cent of respondents said they’d refuse to pay ransom for their data.